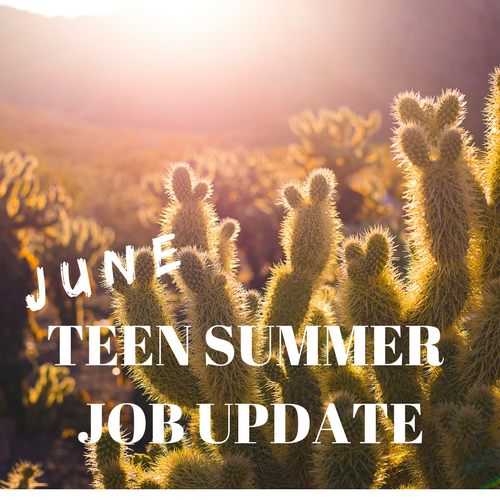 Teen Summer Hiring Explodes: Over 1M Job Gains in June | Challenger, Gray & Christmas, Inc.
Employment among 16- to 19-year-olds was revised down in May to just 75,000. That is 51.9 percent lower than the 156,000 job gains in May 2016, and the lowest summer-month total since May 2011, when just 71,000 job gains were recorded. Challenger’s analysis is based on non-seasonally adjusted data released earlier this month by the U.S. Bureau of Labor Statistics (BLS). The June surge is 48 percent higher than the same month last year, when nearly 700,000 jobs were added, and 126 percent higher than the gains in May. It is the highest June total since 2007, when 1,114,000 jobs were gained among this cohort. “June typically averages the most job gains of the summer months, with well over 700,000 jobs added on average since 2006, but these are some of the strongest numbers we’ve seen since the recovery,” said John A. Challenger, Chief Executive Officer of Challenger, Gray & Christmas, Inc. If July numbers maintain an average pace of over 400,000 jobs added, this could be the highest year for teen summer employment since 2007. “While May gains were lower than average this year, June’s more than offset that pace. It seems the recent decline of brick-and-mortar retail locations has not subdued hiring among teens,” said Challenger. June’s teen participation rate also ticked up to 42.4 percent, the highest monthly rate since 2009, when 45.9 percent of teens were employed. It is still far below the more than 50 percent of teens who held jobs in the 70s, 80s, and 90s. “While teens are not holding jobs at the level they were prior to the recession in the early 2000s or the 1970s, this is primarily due to commitments in education and family life,” said Challenger.